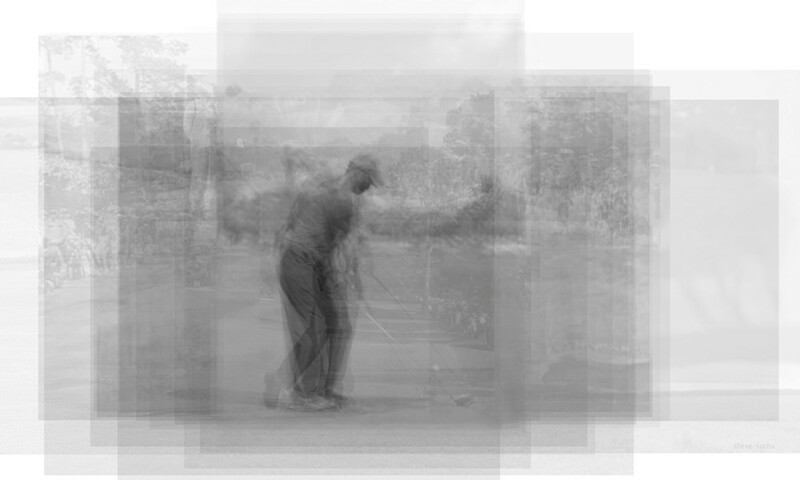 This is an overlay of golfer Tiger Woods. I use an overlay technique to represent a different vantage point on sports stars, one that merges multiple instances of the same athlete, incorporating the element of time. The images seem to find the average, mean, or essence of the person, by emphasizing only the repetitive elements.